At the risk of sounding like a broken record, I too will say what has been repeatedly said by the fitness and nutrition gurus; If you want to lose weight, you have to understand that ‘weight loss is 80% nutrition and 20% exercise’. And that sounds lovely as a quote but the 80-20 rule is harder to deal with when you put it into practice. The reality is, hitting that 80% nutrition correctly in order to lose weight is a challenge for most of us. It becomes a bigger deal when you are trying to lose weight at the same time as you are trying to live on a tight budget or looking for ways to save money. Eating healthy can turn out to be expensive at times because most healthy foods are ridiculously overpriced. Find out how to lose weight on a budget without having to live on water and broccoli. The fact that most healthy foods are way more expensive than junk food shouldn’t be a stumbling block to meeting your goals in your weight loss journey. Unless you have a medical condition that makes it impossible to lose weight, there really shouldn’t be a reason why you mustn’t lose weight especially when you can’t afford the healthiest nosh. The fastest and best way to lose weight is not about you eating organic this and that, or gluten-free this, and gluten-free that. This is the best tip ever when you want to lose weight on a budget. You will simplify your weight loss journey by sorting out in advance what you will eat for breakfast, lunch, dinner, and snacks. Planning meals in advance will become easier when you start writing down health grocery list that you will need for the week or month. Once you learn how to plan your meals in advance and stick to it, you will ultimately figure out how to stay within your budget and save money. Meal planning will also become a control measure for you not to eat whatever is in front of you and may help you put a stop to mindless snacking. I will not dispense financial advice here but will say this: if you are currently living on a budget, dining out should be set aside until your finances start looking up. Buying a ‘healthy’ sandwich here and there may also seem like a great alternative to eating fast food but if you need to stay within budget, and lose weight, those small amounts of money spent on sandwiches will add up and work out to be expensive in the long run. You do not have to learn how to cook world class meals but you can learn how to cook easy buy sumptuous meals in a flash. The cookbook, Meal Prep: The Complete Meal Prep Cookbook For Beginners promises delicious simple and healthy meals for weight loss and it delivers just that. If you can afford to buy this book right now, then I would advise you to buy it so that you can get started on learning how to cook your own healthy meals. Weight loss is not and will never be about you eating gluten-free, organic, or vegan food and whatever fancy term someone will come up with. Weight loss is about the number of calories you eat versus the number of calories you burn. 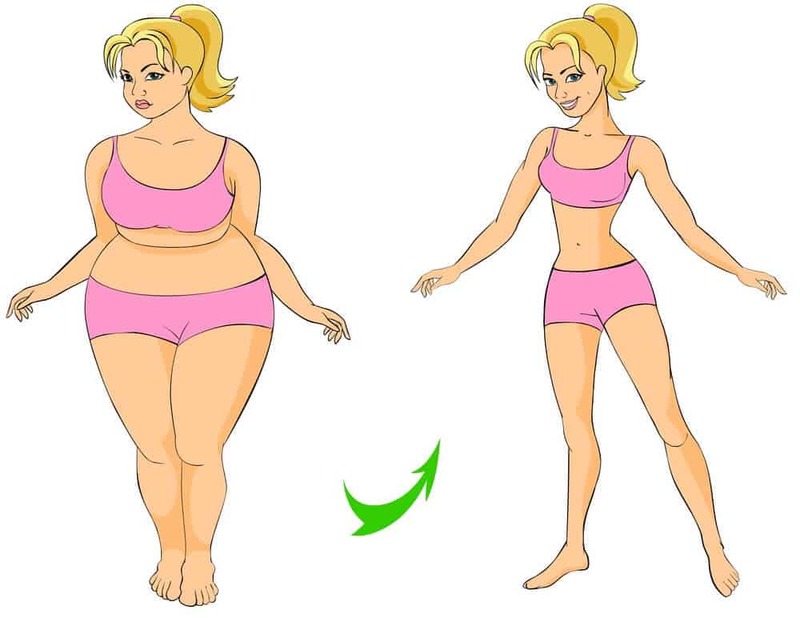 For example, if your maintenance calories (the calories you need to maintain your body weight) are 2000, you should subtract about 200 to 500 calories to arrive at the number of calories you should be consuming in order to lose weight. To understand this concept better, there are free tools such as MyFitnessPal that will assist you with calculating the calories, as well as cheap but effective fitness trackers like the Wesoo K1 Fitness Watch that monitors your activity levels, including your sleep. Water is life as they say and when it comes losing weight, water is – you guessed it- the life that weight loss depends on. Apart from revving up your metabolism, water can also help curb hunger as well as help your body get rid of waste. Water helps to suppress appetite by filling you up and numbing those hunger pangs that make you want to grab a bite to especially when you are not hungry but just thirsty. This cheap grocery list is handy to have and when you want to lose weight but finances are a bit tight. You must make these foods a staple in your pantry and home. If you can not afford it, there’s no reason for you to sign up for a gym membership in order to keep fit and lose weight. There are numerous ways of exercising which cost next to nothing. Running for instance if free and if you are a beginner, you can start by taking brisk walks outside, until you are fit enough to throw in a little jogging here and there, or run the entire distance. Lastly, I will say this: Losing weight is full of ups and downs and there are a lot of ‘behind the scenes’ struggles between all the incredible before and after photos we always see. If you are struggling with weight loss, I want to ask you not to be discouraged to a point of giving up completely. You will be discouraged time and again especially when results seem slow. Just never ever quit. I have struggled with weight since 2005 when I had my first child and I know how it is like. Keep going until you hit the goal. Meal planning is huge. It really helps me stay on track and not binge eat when I plan ahead. These are all really great tips. Planning out meals in advance is what I need to do. I try to cook at home most days so I can control the calories, etc. Plus, fresh is always best. I need to use all these tips! These are great tips! I do try to meal plan when I can. I also try to cook more at home, but I do love to go out since I hate to cook. My weeks are much easier when I plan out my meals. My kids always eat my healthy foods. If I cut up vegetables for me to snack on, by the time I go to have them, they’re gone. I’m glad my kids like to eat healthy, but I’m the one the doctor told to lose weight and they were told to gain weight. These are so really great tips. I’ve been using the MyFitnessPal app for almost a year and love it. I try to meal plan as often as possible. This is exactly what I needed to try to help to get my summer body back! When I head to the grocery store Friday I will definitely look at getting most of the food you listed. Thank you for sharing! I know many people doing Keto right now and it seems to be working. Hopefully this can fit into their diet too. Good food is very important for weight loss. I love making fresh meals to go along with exercise! I think meal planning is the best thing you can do to lose weight on a budget. It really helps you see where your money goes when you don’t. I think one of the biggest things is to cook your own meals. Eating out is convenient and fun but it’s really hard to eat out often and keep calories in check. Preparing meals at home lets one be in control of ingredients. I need to start counting my calories and drinking more water. I don’t even know why I said more because I don’t drink any. I said I would change that this year but this post might be the motivation I need to not just say it, but to do it. It’s sad that healthy food is more expensive than all the processed junk. I feel like eating healthy on a budget is definitely a challenge – thanks for the tips. People are often mistaken about losing weight when it comes to budget. They’ll always say that it’s too expensive, when in reality, you can eat healthy and save money. Love this guide, I’m sure a lot of people will find this helpful. I never considered signing up for a gym membership because I know they cost a lot. If we are really determined to lose weight, all we need is the will power to do it. Plan ahead and be creative with our meals. Set up a goal chart at home to track our progress and just do exercises at home. My trainer would say that as well. It’s always going to be 80% nutrition and 20% exercise. That’s why it’s really important that you eat healthy every day. This guide can really help people who are following a budget. Cooking your own meal is the best option there is especially if you want to stay on budget and keep a healthy lifestyle. No matter how you exercise if you don’t put good nutrition on your body, the result is not what you expected. working out at home is really possible with the ways mentioned above. There are mobile app available for free that are easy to follow and keep up . Videos and youtube is also helpful since lots of youtube instructors are good motivator. Cooking my meals is my best way to control the calories and fat. I like this post because a lot of people can use it. Purchasing better foods cost so much sometimes and it makes me just wanna go up the street to the nearest fast food place. You have no idea how excited I am to have come across this post. It is perfect timing as I have been looking into losing my post pregnancy and baby weight. I had also been wondering how to not spend so much on it too.